The handicapped ramp is progressing slowly as those building it are carrying on as they are able. Hank from the David S. Miles Post 174 American Legion in Oxford has volunteered his time where Selectman Jeff Haney was unable to continue due to illness. The framework for the ramp has been extended by several sections, but will need decking. Perhaps another fundraiser soon to help out or we will apply for a grant. One of out members is looking into a grant. The summer has been slow, and attendance somewhat sparse, as people are busy. 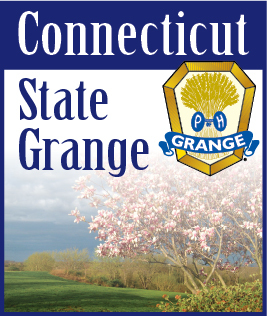 We plan to open the Grange to host vendors for the 46th Oxford Cultural Arts Commission Arts and Crafts Show on November 3. We take some of the overflow that can’t fit in the school auditorium. In August, once again, Glenn Belinsky and his mother Evelyn hosted the Summer Grange Picnic on August 24. We thank them for their hospitality.